MantiumFlow - CFD Simulations made simple, reliable and fast.. 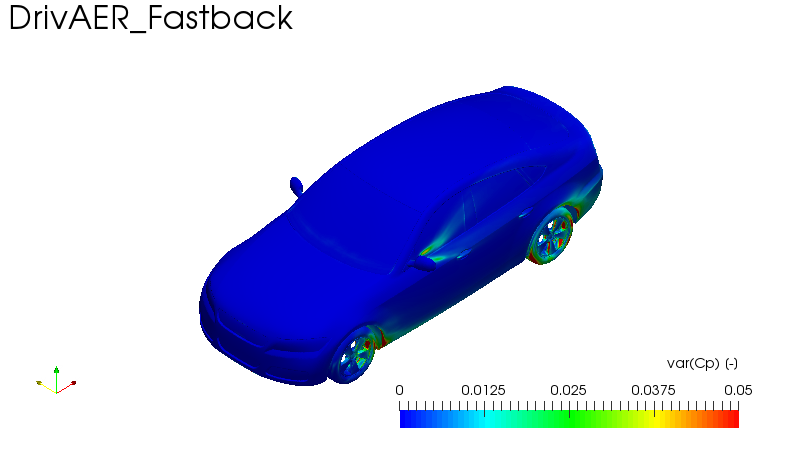 Experience with CFD shows that CFD simulations are complicated, error-prone and results seem to depend on the engineer. Among the reasons for this are the shear amount of options a user of CFD software is subjected to. With MANTIUMFlow CFD simulations are automatically set up, analyzed and post-processed. This software eliminates most user errors and checks for convergence. This ensures that our clients always receive comparable simulations with everything that should be checked off of a list, actually being checked off. As visual post-processing is also automated, all pictures will be absolutely comparable. MANTIUMFlow receives geometries, checks them, if necessary creates a surface mesh and then positions them. This simple step already eliminates many user errors as the geometry will be in the right dimension and a car will not have a length in the range of milli- or kilometers. MANTIUMFlow then sets up and runs the CFD simulation, again minimizing user input. MANTIUMFlow uses a selection of default settings to ensure a correct setup of CFD simulations. These are tuned for external aerodynamic simulations of vehicles. 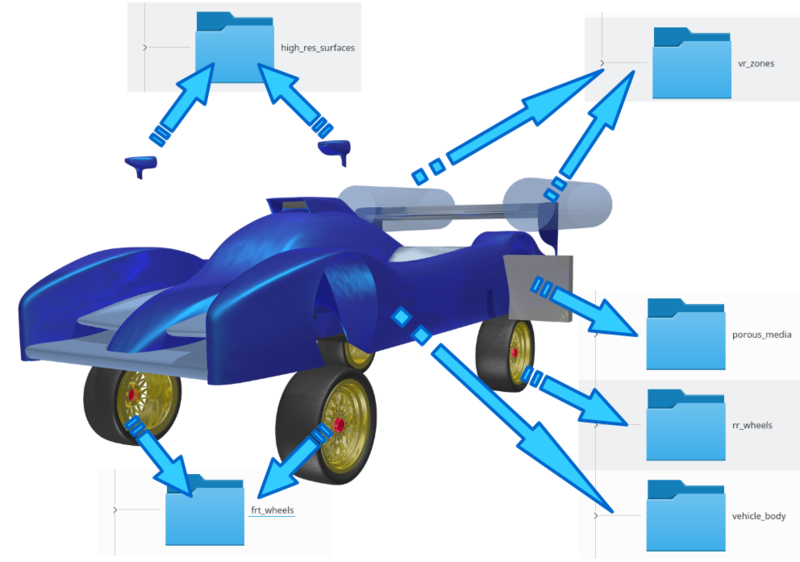 However MANTIUMFlow allows the use of templates. So if for example a UAV, a bike or an internal flow of a duct system is to be simulated, the user can either create his own template or ask MANTIUMCAE to provide one. This allows organizations with limited CFD related experience to run sophisticated simulations in-house for these templated cases. This also ensures that everyone in a department sets his simulations up the same as long as the supervisor makes sure his staff does not mess with the settings he defined. Automating entire CFD workflows ensures comparable results. As the post processing is also automated the results can also be compared visually. MANTIUMFlow is a very important tool at MANTIUMCAE as it is also used for consulting projects if possible. This enables the engineers to focus on our clients’ products and not on doctoring and keeping simulations alive. Automating and documenting workflows ensures that our clients can rely on having comparable CFD simulations even when they come up with new designs months after the first simulations have been performed. If you are interested in CFD consulting or have any questions, please feel free to contact us. Thanks to MANTIUMFlow engineering times and wasted times due to errors are minimized allowing MANTIUMCAE to run very cost effective consulting projects while also providing fast results. 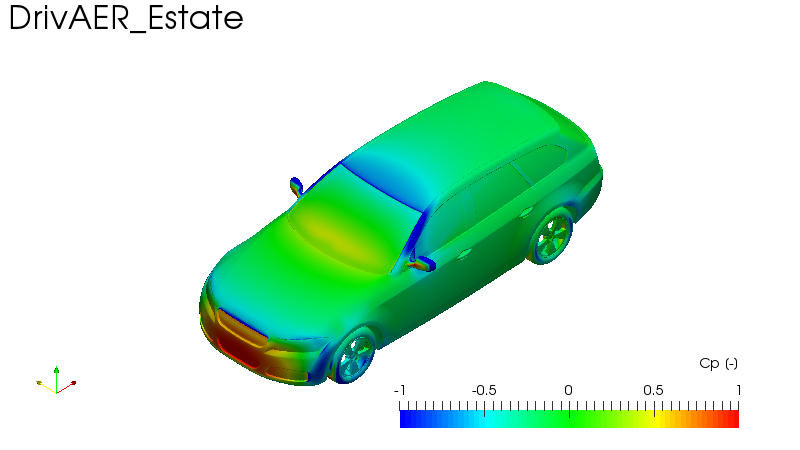 CFD simulation image out of MantiumFlow, showing the pressure distribution on the vehicle. DrivAER Fastback report: Here with pressure fluctuations. These are a good indicator for dipole sound sources. Minimizing hot colors on the side window should improve acoustic passenger comfort. 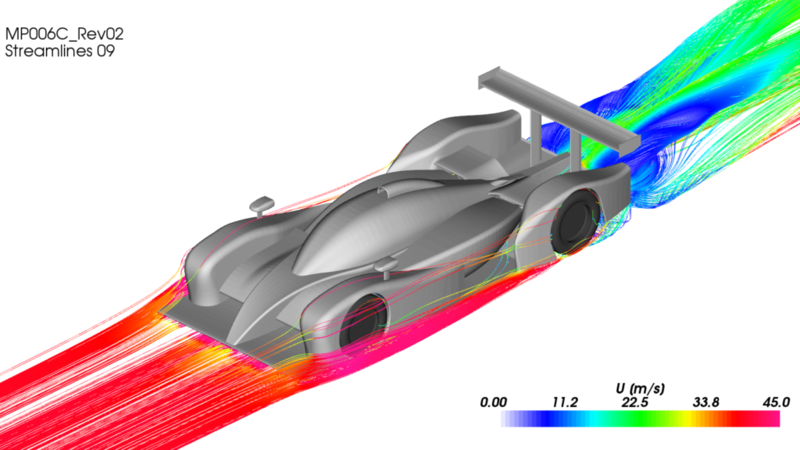 CFD simulation image out of MantiumFlow report of a race car for MVRC by caeDevice. The DriveAER model is supplied by the Institute of Aerodynamics and Fluid Mechanics of the TU Munich. For more information on MantiumFlow, please visit the product page or leave us a message.